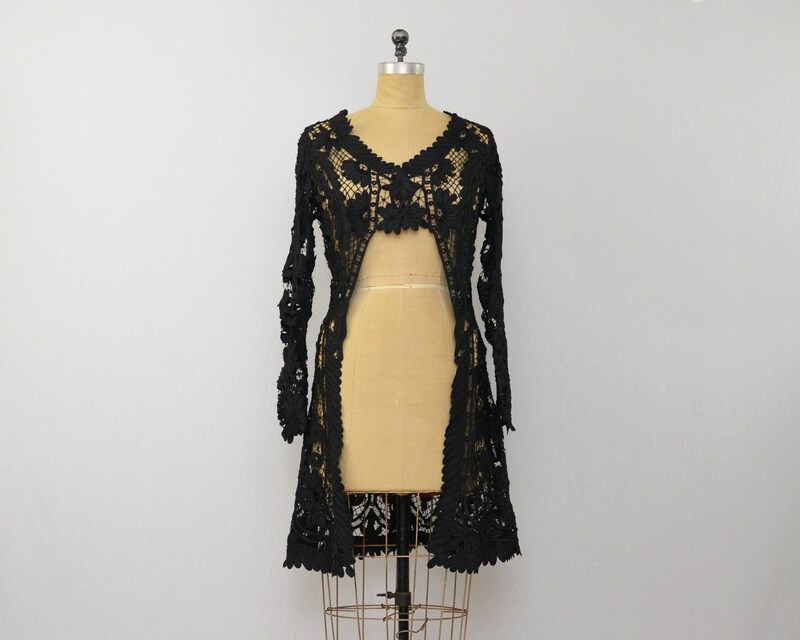 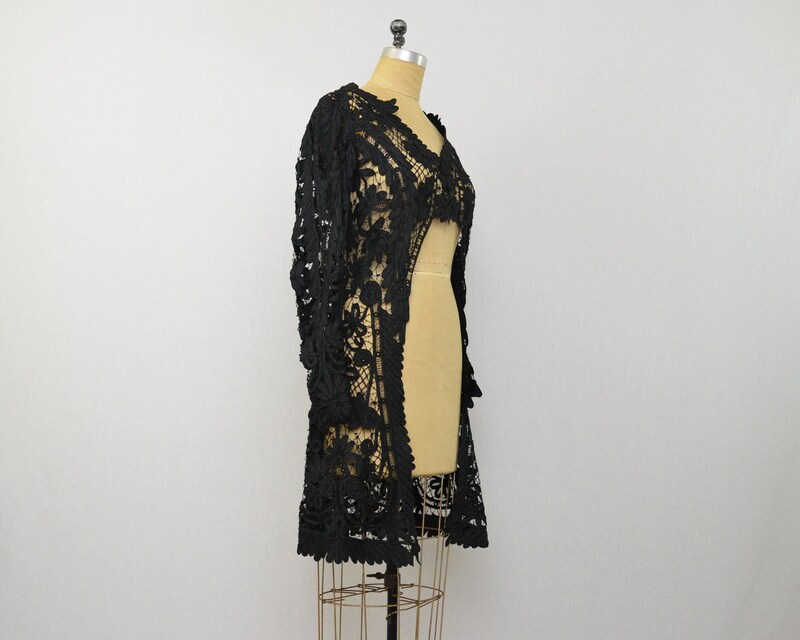 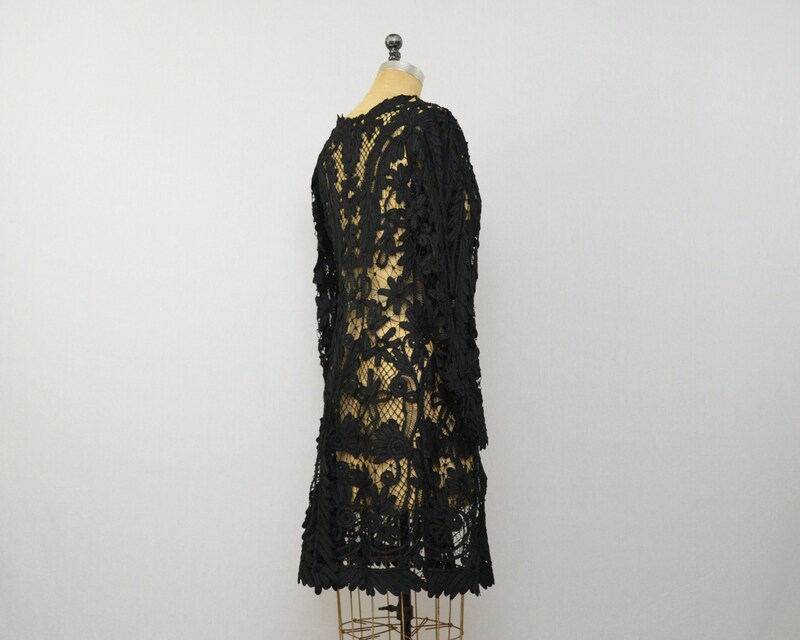 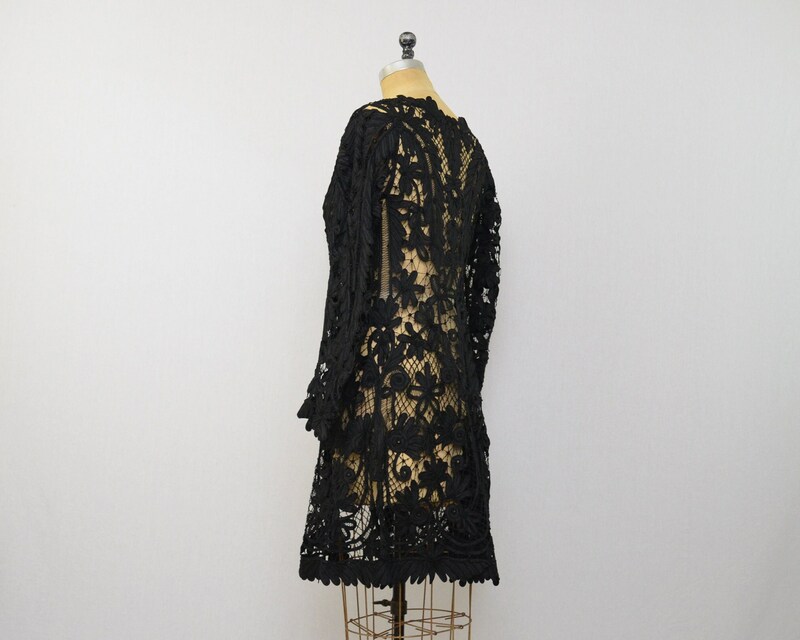 A superbly preserved battenburg lace mourning jacket from the Edwardian period. 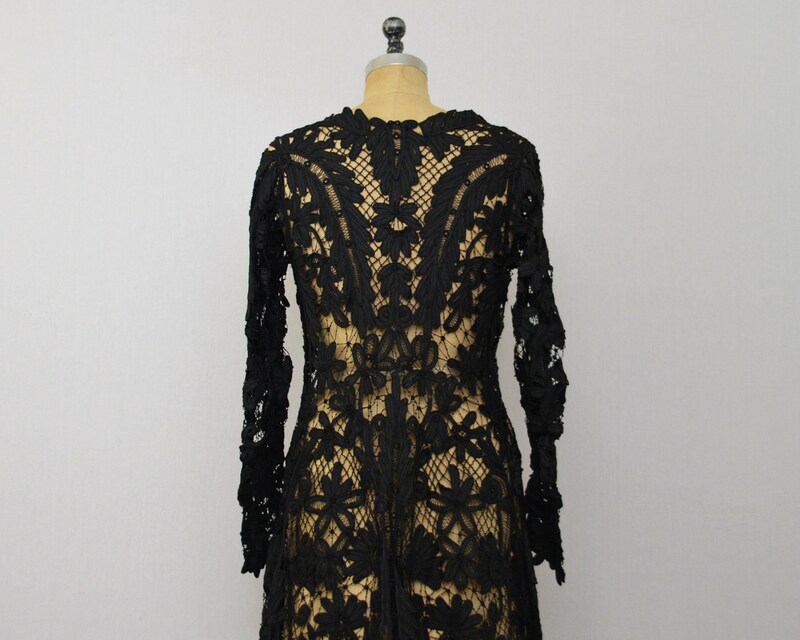 Incredible detailing in the handmade and tape lace. 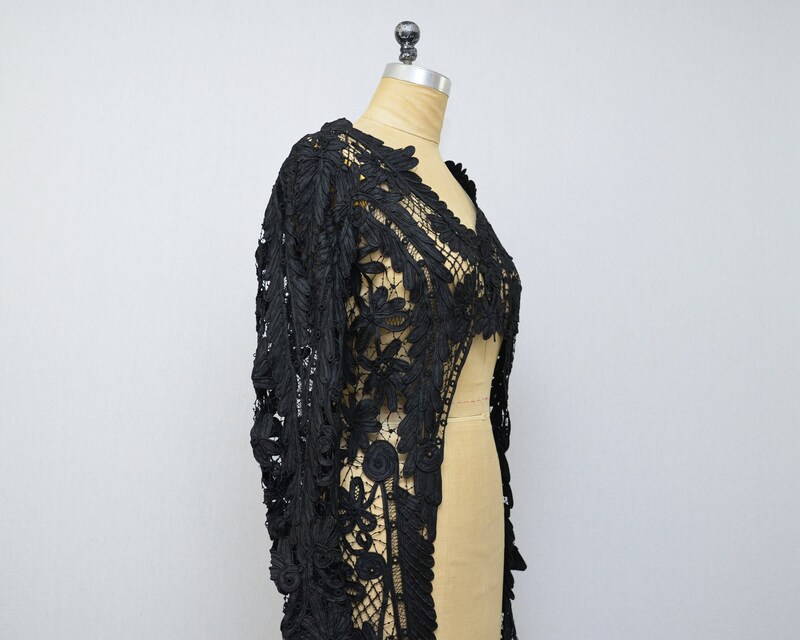 Very few flaws.